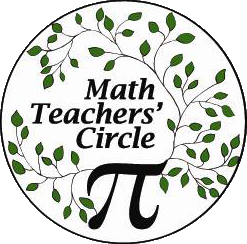 American Institute of Mathematics (AIM) Mississippi Delta Math Teachers’ Circle (MDMTC) is a 501(c)(3) nonprofit organization located in Cleveland, MS. The MDMTC is a regional branch of the AIM Math Teachers’ Circle national organization which was founded in 2006 to provide high-quality professional development through content-intensive, problem-solving-focused sessions led by local mathematicians. Nationally there are roughly 1,000 middle school math teachers in 60 regional circles throughout the country. The MDMTC began in 2015 as an outgrowth of the Math Science Partnership, a program with a 3 year track record of successful engaging professional development. We will be on starting the MDMTC with an intensive 2-day residential summer workshop on July 27th and 28th 2015. Email lcope@deltastate.edu if you are interested in attending and joining the MDMTC. During the 2015-2015 academic year we plan on holding and 6, 3 hour annual meetings for approximately 20 middle school math teachers. Each of these teachers will reach an expected 100 students during the 2015-2016 school year, thus extending the impact of the workshop to approximately 2,000 local students.